Cuban Beans are one my favorite beans to eat! And yes, I’m half-Cuban but even if I weren’t, these beans would still be in HEAVY rotation. They’re flavorful and have a ton of fiber. Not only that, but I just live for the dark richness of these beans! 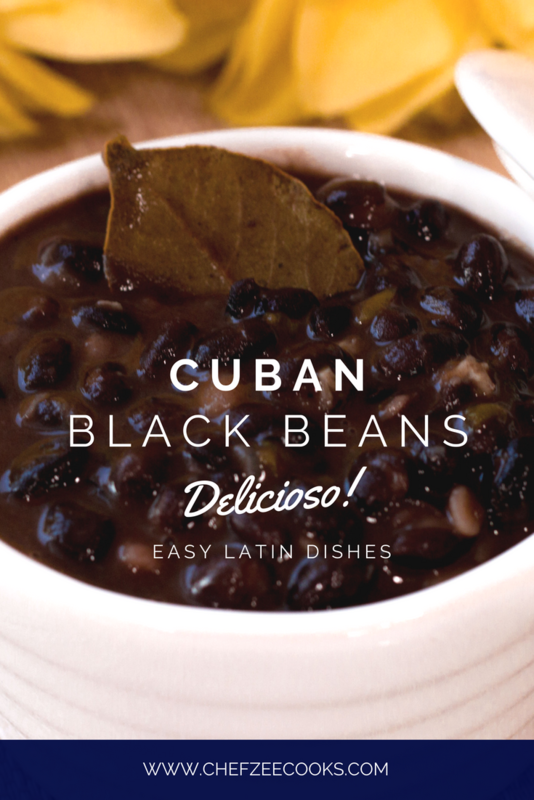 Now last year, I shared my recipe on How to Make Cuban Black Beans from scratch. Those beans are amazing but they do take some time to make. And if you’re like me, sometimes you have a craving for something right here and right now! Or even worse, you come after a long day at work just craving beans. 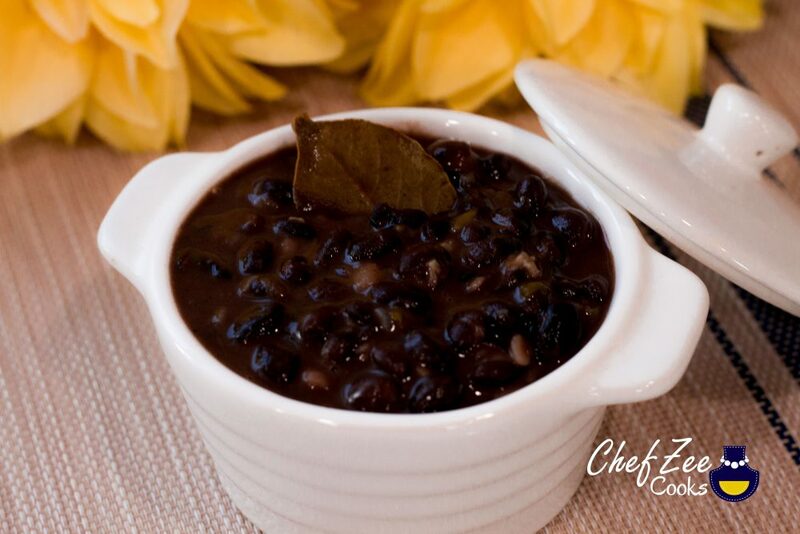 This is why I have an Easy Cuban Black Bean recipe ready to go that’s just as delicious as my tried and true Traditional Cuban Black Beans. These beans are made from canned beans but I use all fresh ingredients to bring this dish to life. Now unlike Cuban Black Beans from scratch, these Easy Cuban Black Beans aren’t as black and as dark as their big brother. However, that’s not to say that they aren’t super delicious! In fact, my friends and family go crazy for these beans! They’re one of my staples. Feel free to Pin this delight to your boards on Pinterest! The dish will thicken as it cools. Remember to remove bay leaves upon serving. Feel free to add vino seco (dry white cooking wine) if you wish! Buen provecho!